Speaking at the Retail TECH X conference in Melbourne this week, former Tesco CEO, Sir Terry Leahy, discussed the company’s early foray into data-driven decision making. He credited it as a key reason why a retailer, who in the mid-1990s was ranked a distant third in its market, was able to surpass the performance of its two biggest rivals several times over two decades later. Sir Terry joined the retailer as a marketing executive in 1979, and led the company from 1997 to 2011. 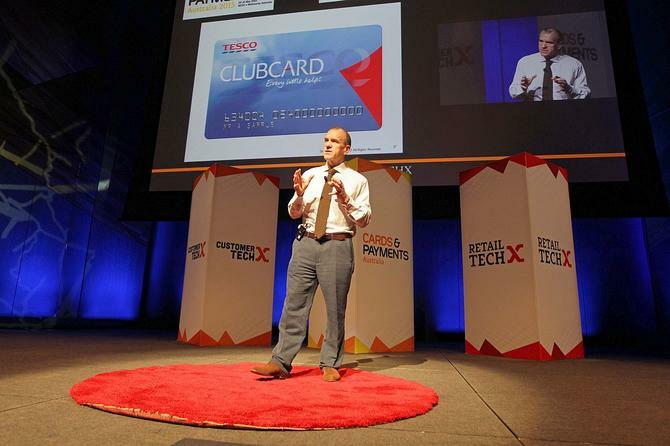 He said the key for Tesco was Clubcard, a loyalty card introduced in 1995 that allowed the company to connect and respond to customers through data, rather than through more traditional methods. Before 1995, Sir Terry said computers were simply not powerful enough to hold information both on product movements and individual purchasing behaviour. Sir Terry said in the year before Tesco launched its ClubCard, Sainsbury’s was worth twice the value of Tesco. Within a year Tesco had overtaken Sainsbury’s .By the time he left the CEO role in 2011 Sir Terry said Tesco had outperformed its rivals tenfold. Sir Terry’s formula from boosting the performance of Tesco started with building a true understanding of the true nature of the business. “We all want the business to be doing well, but that may not be the truth of it,” Sir Terry said. “Today data plays an incredibly important role in bringing into the organisation from outside an accurate picture of how the business is perceived. And it is absolutely crucial that the organisation finds a way of bringing the voice of the customer into the business, because that’s the most reliable voice – that’s the one you should navigate the business by. The company used data extensively to monitor changing customer preferences, leading to a series of industry innovations that served to transform its performance. Data also led Tesco to introduce the convenience format, going against industry wisdom that suggested that bigger was better. Tesco was also the first food retailer to sell online, and maintains the largest share of any food retailer in the world, holding close to 50 per cent in the UK. Sir Terry said for an organisation to successfully implement a data strategy, it also required those who were working with data to take a leadership role within the organisation, as data can often lead to conclusions which run counter to conventional thinking. But despite the heavy investment in technology, Sir Terry said it would have all come to nought had the company lost its connection to its customers – something many consider has happened since he departed in 2011.